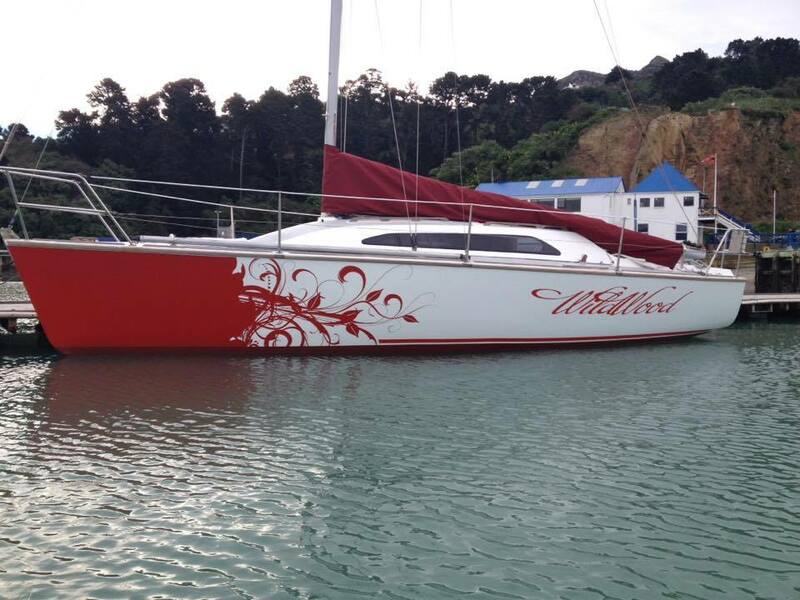 Our current yacht – Wildwood is a Young 88. 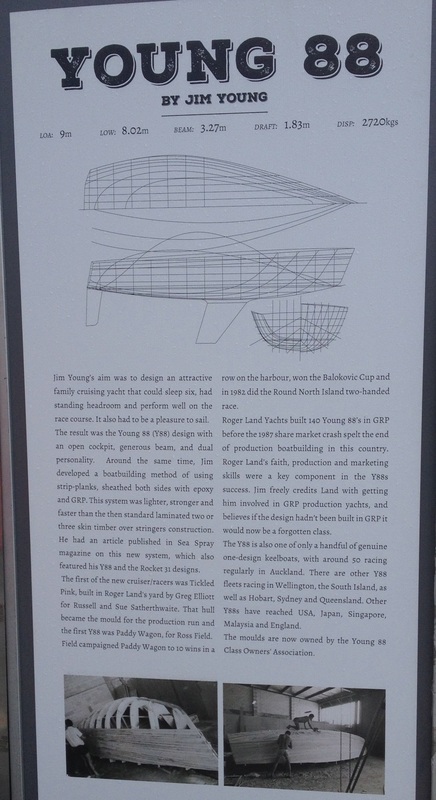 She was built in 1985 and is one of about 140 boats made in this design. Wildwood is one of about five wooden boats that were built and the rest are made in fibreglass. I have owned Wildwood since 2003 – so eleven years now. I can clearly remember the day she arrived in Lyttelton on a ship from Auckland. 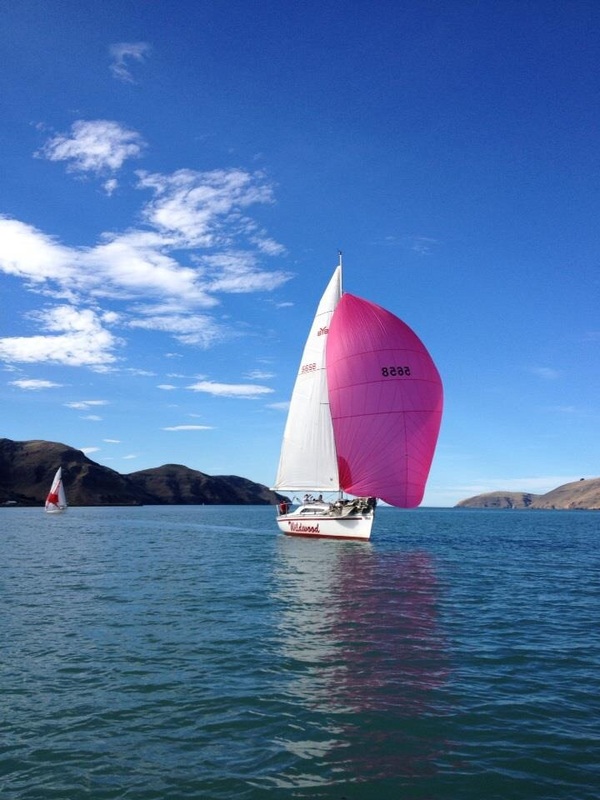 I didn’t have the time, skills or confidence back then to sail her down to Christchurch myself – it would have been over a week long trip in a boat I didn’t know – so I paid for her to be shipped down instead. As they craned her off the cradle and lowered her in to the water, I could never have imagined the amount of fun that we would have in the forthcoming years. I was on my ex-husbands speed boat, waiting beside the ship. We removed the slings and I found the hidden key, opened her up and started the motor. It was the middle of winter. We went over to the floating jetty and took absolutely everything off her and loaded it in to the cars. I grabbed my dinghy and we went over to the piles that she was going to stay in until we could haul her out. As we were motoring in to the pile mooring, we got a line wrapped around the propeller… as we had taken everything off, there was absolutely nothing to use to cut the line away… I cant remember how we got it free, but we eventually did and then found that the dinghy had gone! I hadn’t tied it on properly… my friends who were helping me out in the middle of winter and now getting close to the middle of the night were fast losing interest! Anyway that was our first day. I learnt a lot that day! And I continue to learn new things every time I take her out! People told me that owning a boat is expensive and that I wouldn’t be able to afford it, I wouldn’t get enough use out of it, or be able to manage it on my own – well that is partially true. However I have never regretted any dollar I spent on her, and as I use her most weeks, she definitely gets used. I also have a great crew and a great partner, who all love her as much as I do, and with their skills and help Wildwood gets pretty well looked after. Wildwood sleep’s up to 9 people – it is a bit of a squash, but the V berth is a double, there is a double and a single in the saloon and two double quarter berths – so five separate beds. There is a head, a sink and stove, a great fridge which keeps the beer cold and a huge cockpit for socializing! We usually sail with 7 crew – two headsail/kite trimmers, the helm, mainsheet, keyboards (operates all the halyards), mastman and bowman. 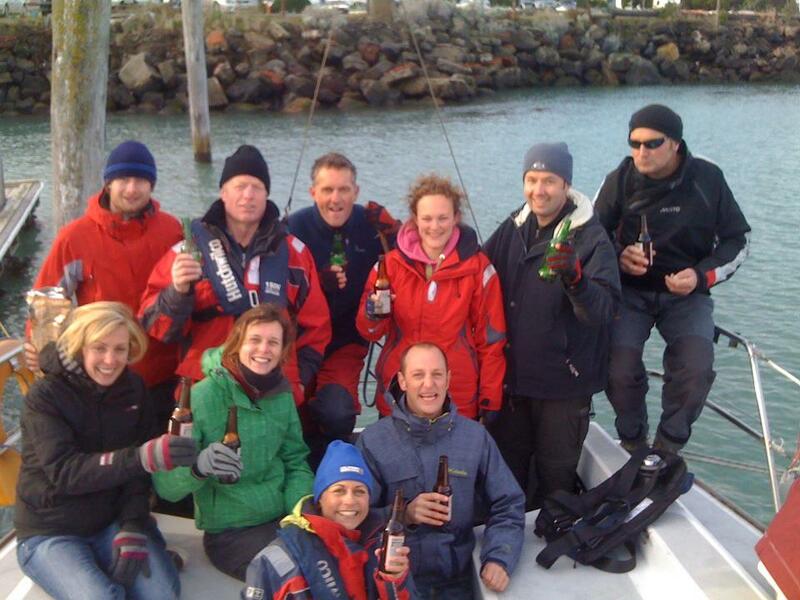 However they are also very easy to sail shorthanded, and we have had up to 13 crew on board as well! Cook Strait on a glorious day! They are great racing boats, and convert really easily to a family cruiser. There is a very popular Young 88 Association who organise the class racing. For Wildwood’s early 30th birthday present I got her sides wrapped in vinyl – she now looks like this! ← To Knot or Not to Knot? She is so beautiful! You should be proud! Please promise me a ride when I get to S.I. someday! She looks very swish and very well looked after. It’s nice to be boat proud! Also good to hear Wildwood gets used. So many yachts sit in the marina, it’s such a waste… I can’t believe you fit all these people on board! 7 crews! We don’t race, and it’s just the two of us managing the boat most of the time. When friends join us, they are more often than not ‘passengers’. We are not very good at divying up the tasks – an all together different set of skills! Certainly can relate to the early days of getting used to a new boat! When we bought our previous catamaran, it was our first ‘big’ boat, ie not a trailer sailer. It was in Brisbane and we had to sail her to Victoria. Wade and 3 mates brought her down. It was a stressful couple of weeks for him, with getting to know the boat on the fly and applying everything he knew about sailing, but with the buck stopping at him as the skipper for the first time! When we moved from that catamaran to Take It Easy, it was another kind of challenge, mainly to do with its larger size: everything was so much bigger! We were a bit daunted by the “aircraft carrier deck”, the bigger sails, and manoeuvring with two engines took a bit of getting used to. We used to practise approaching jetties, turning the boat on its own axis… Now it’s all second nature, although when I bring the boat into a tight spot along a jetty or a pen on a windy day it always makes my heart race… Wade often says: “are you nervous?” and my response is “always”. Thanks so much! I can imagine your would be nervous! No one wants to damage their boat and yours looks gorgeous too! It is great that you can manage it with just the two of you. It is quite nice having crew helping when we race – everyone has a job, and when it all goes smoothly then it is like a well oiled machine! I’ve just been past a fleet of Young 88s (and a few Farr 1020s) heading up the Tamaki River for an evening race on the Waitemata. I thought immediately of you and Wildwood. :-). Love the graphics! There is just something about a wooden boat that makes it seem alive. It breaths and like sailing it becomes part of you and your life. Wild Wood has not only become part of your family and is pampered like a baby she is also your social hub which is wonderful to see. How you race with so many of you I don’t know but the parties afterwards I imagine are wonderful. Thanks Mark! The parties are great and you would be more than welcome to join in when you get to this part of the world! I Love wooden boats! They have so much character. I just get a bit sick of painting things… But she is so worth it. I love this boat so much!